Welcome to my original Tiggerific Tuesday Trivia post! Special thanks goes to my great friend Jodi from Magical Mouse Schoolhouse, the Disney site where you learn that Disney IS school! She asked her readers what they wanted to see on Tuesdays, and they had a resounding “Trivia!” answer for her! I don’t know a whole lot of trivia, Disney or otherwise, but I do have two incredibly cool Disney Trivia books that I will reference for these posts! The first one is “Disney Trivia from the Vault” by Dave Smith, and the other book is “The Walt Disney World Trivia, Volume Two“, by Lou Mongello. So, on to today’s Tiggerific Tuesday Trivia! I have always thought of Pluto as Mickey’s dog; I always thought this because Pluto’s dog house was at Mickey’s Country House in Mickey’s Toontown Fair. Did you know, though, that when Pluto made his debut in the cartoon The Chain Gang, he didn’t belong to anyone. He was a bloodhound that was searching for Mickey Mouse, who had escaped from prison! In his second cartoon, called The Picnic, Pluto actually belonged to Minnie Mouse! However, he was known in this cartoon as Rover, not Pluto. Finally, in his third cartoon, The Moose Hunt, Pluto was the dog of Mickey Mouse, and he has been ever since. This information is from Dave Smith’s book, Disney Trivia from the Vault. Here is a YouTube video of The Moose Hunt. Enjoy! Finally, don’t forget to check in over at Magical Mouse Schoolhouse to see the rest of the entries for Tiggerific Tuesday Trivia! Just click on the button below, and thanks for stopping by! Congratulations to Katherine O., winner of the $25 Disney Gift Card and Photo Album! Congratulations to Katherine O., the winner of the $25 Disney Gift Card and Disney Fantasy Photo Album! Kat was the lucky winner among 2,742 entries! Thank you all for participating in our joint contest, I wish I had a prize for all of you! 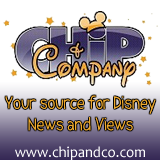 Kat, your prize is being mailed out today, so look for it this week I would think, and enjoy from your friends at My Dreams of Disney and Chip & Company! For everyone else, I hope that you will stay around and enjoy the site! There is something for everyone that loves Disney! If you have any questions or requests for what you want to see on the site, please click on over to our Contact Us page and fill out the information! We’ll get back to you shortly! 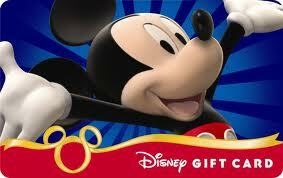 Who wants to win a $25 Disney Gift Card and Disney Fantasy Photo Album?